​​Would You Like To ​KICKSTART Your Mighty Marketing ​in 2019? ​​​Isn't it curious how some solopreneurs stress about marketing and others don't? ​As a solopreneur ​we end up playing all the ​roles in our business: ​handling tech, finances, operations, and of course marketing. Our plate is full. We juggle a LOT. We always need a steady stream of clients. We also have big ideas and plans we want to achieve. We know we should be marketing, or be online or on social media. But how do we do create those plans and act with less stress? ​Some solopreneurs have all those pieces together, but most need to learn ​more about marketing and have guidance. ​Would you like to be one of the solos that doesn't stress anymore - by getting some marketing guidance and support to kick off an even more successful 2019?! can boost your skills and confidence. Let's find your marketing mojo! I’ve been there in the marketing muddle – and that’s even considering my first career as an advertising and marketing executive in New York! There’s a lot to keep up with. 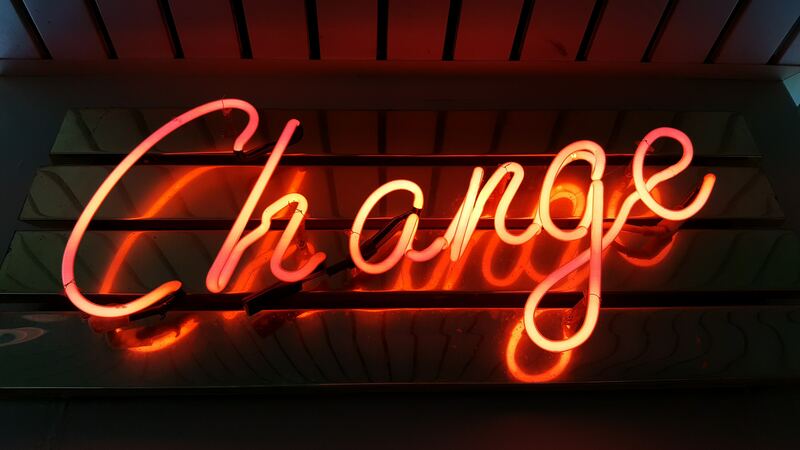 Stuff changes all the time - new tools, new rules. ​You're working with clients, completing projects, setting up systems, learning new tools, running your businesses, and trying to live a good, full life. 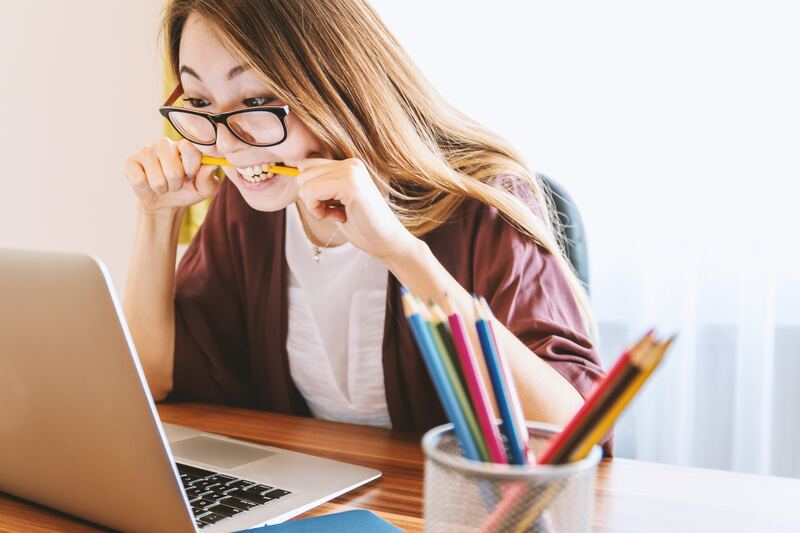 ​You're pretty sure that you need a marketing plan, a road map to get your solo biz where it needs to go next - but you aren't 100% sure how to draw that map. Which choices to make? What should you focus on this month, this week, or between now and next Tuesday?! How ​do we set up the tools to make it all happen? All of that could give any of us a marketing-anxiety headache. ​But it doesn't have to be that way. ​Shocking for me to say, but you have to stop studying. S​TOP Reading. ​As solopreneurs in service-based businesses, we're always juggling multiple tasks, with a focus on bringing success to our clients. But what does success look like for US? And with so much to juggle, how do we know what we should be doing right now, next week, and even next month? Does this look like your world? ​You want more of your best clients. But who are they? You’re trying to figure that out and only have so many hours in the day. Where do you focus for the best marketing bang? ​You get a lot of your business on word-of-mouth and referrals – but it comes fitfully. Can it be more systematic and reliable? ​You’d like more B2B or C-suite clients like my info consultant pals, the market researchers and analysts; or need a steadier stream of content creation gigs like my editor and writer pals; or you’re like the web/software/tech builders that I know, looking for a consistent pipeline of qualified customers and not just one-off projects. ​You've seen a lot of marketing tools, software, plugins, or apps and you wonder which ones are the right ones or if you need all those tools at all. What if you had a guide to help you sort your goals and priorities? Would it be nice to know which tasks to take on that lead to getting in front of the right people? W​hat if you had some assistance with those lead generation ideas? W​hat if someone else ​does the work of checking on the latest marketing trends ... and ​brings that knowledge back to your business? What if you had your own marketing cheering squad and coach to help you make any tough decisions? ​If ​That Sounds Good, You're In the Right Place. And You're Ready to Get Your Marketing Mojo On! 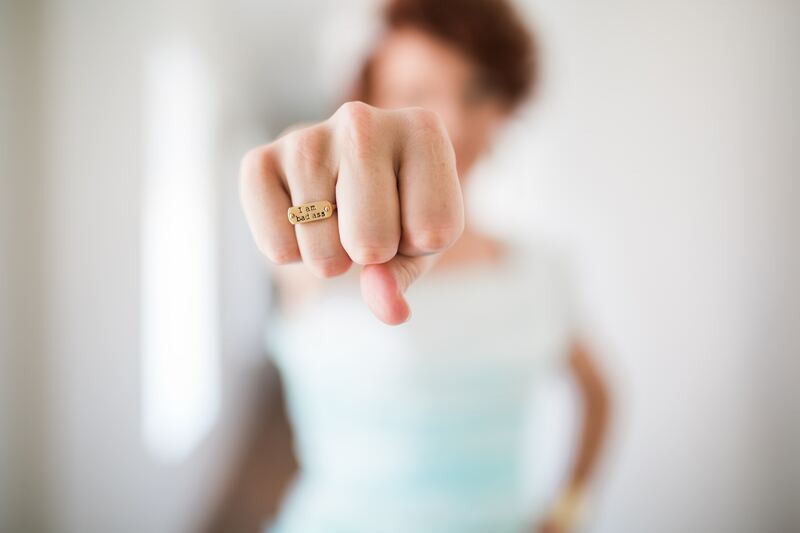 ​I'm offering my expertise and experience in some focused coaching ​so we can just DANG DO IT! Let's set those goals ​for an awesome 2019 and create ​our plan of action. Here’s your chance to borrow my brain, get feedback, and be in a supportive community while learning and doing. ​​How Did You Get Started Coaching, Jennifer?! ​I've been coaching informally but now ​it's official! Shoot, my colleagues and solo pals have been asking me for marketing advice and help for years. They ask in emails, during webinars, at conferences and workshops on other topics, when we go for drinks or coffee, or on social media. Teaching and training is ​key to the work I've done for 5+ years. I’ve always loved working through answers and helping ​my colleagues find solutions. ​I do it as part of my consulting and training business and now’s I'm giving ​you, my solo pals, the chance to borrow my brain to give your marketing mojo a boost. 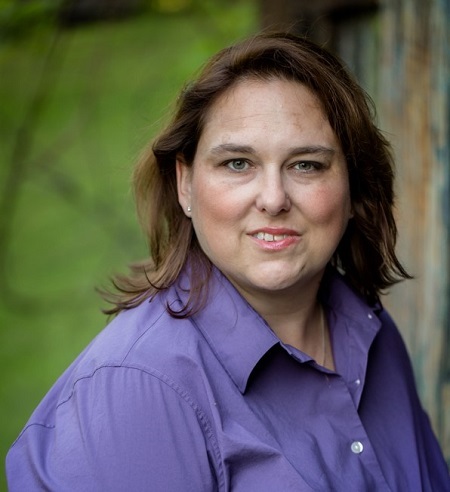 I'm based outside of Philadelphia, where I own a strategic marketing consultancy, specializing in libraries and nonprofits - IntelliCraft Research LLC. I host a web chat series, Marketing Tool Talk where we dive in and compare the top apps, software, sites, and tools for budget-conscious marketing. My first career was as an advertising/marketing executive in New York and Philadelphia. I've served on the boards of nonprofits and associations. I've got a B.S. in Communications, an M.S.L.I.S (that's my library science degree, aka 'finding all the info'), and spent 5 years in Ph.D program working to be a teacher, before I decided there were other ways to do that! And I pride myself on translating "marketing-ese" into simpler terms, telling strategic stories, and helping my clients avoid marketing headaches. ​This is a 6-week PILOT coaching program to focus on getting our marketing mindsets right and our marketing mojo flowing. No long-term, on-going commitments, let's just each try this out! ​Weekly 1-hour group video chats: ​Meet in my Zoom meeting room live, plus access to a recording of each week's session. Meetings will be either Wednesday or Friday. ​​Focused coaching: ​We'll talk about some key marketing topics and tools with the aim of making it all easier, faster, and simpler to implement. Because we are kicking off a new year, we'll check on where you've been and where you want to go. We'll set clear, SMART goals. And we'll set up the plans to take us there this year. ​Resources: Handouts, checklists, or templates on the topics we discuss. Think more 'shortcuts' to save you time on taking action, rather than homework! ​Supportive Environment: during our weekly meetings, via email, and in my Facebook Group. Feel free to ask questions of me, get feedback from the group on your marketing activities, and share your wins. 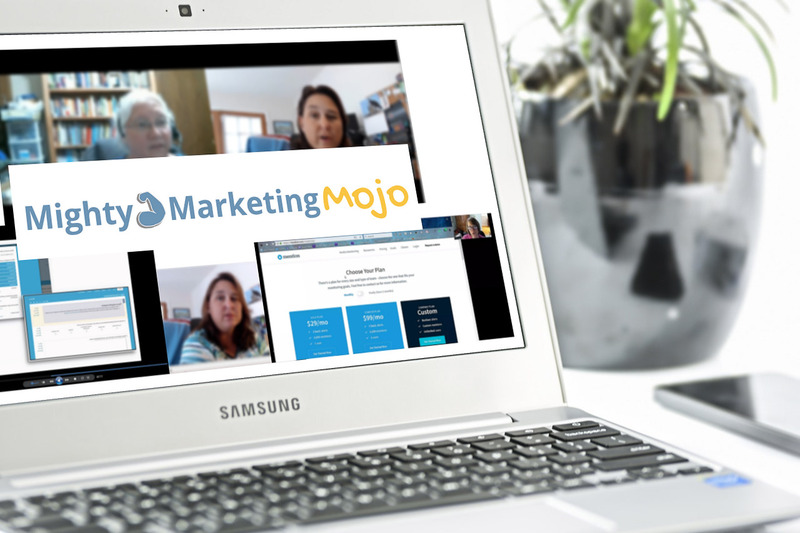 ​6 Weeks of Mighty Marketing Mojo Coaching! ​Weekly Coaching Sessions Run 6 Weeks: ​​New session starting soon! ​Make 2019 ​your MIGHTIEST year! ​​​Sure, January is ​a perfect time for fresh starts and we're primed to ​try new things. But it's ALWAYS a great time to get clear on your goals, invest in yourself, and put learning into action in a supportive environment. Let's start now! ​You won't spin your wheels. ​You won't have to study your way out alone. You'll have clear, concrete goals to move towards. You'll have a list of tools to make it happen. ​Make ​the decision to support yourself and grow your solopreneur biz with some focused marketing coaching. $77 for the 6 week program. That's it. $77 total, for the whole 6 weeks of coaching, all the resources offered, and the online group. Less than $13 a week. Less than a medium pizza or many folks' weekly latte allotment. That's so low I better not tell my accountant or my coach! Jump on this before I drink more coffee and come to my full senses. Limited Spaces Available! Looking for up to 20 awesome solopreneurs to join me to ​rock 2019! ​I'M READY FOR MY MARKETING MOJO! ​Short and sweet - a short commitment as we each test things out to see what we like and what works best. ​Hands-on - we're digging in to core aspects of marketing to set up for success. We're working on actual marketing goals and tasks. Come ready to work, ask questions, and share. ​Guided coaching - there's teaching and learning happening here! But with an emphasis on clearing confusion and creating a confident mindset so you can keep up your success. 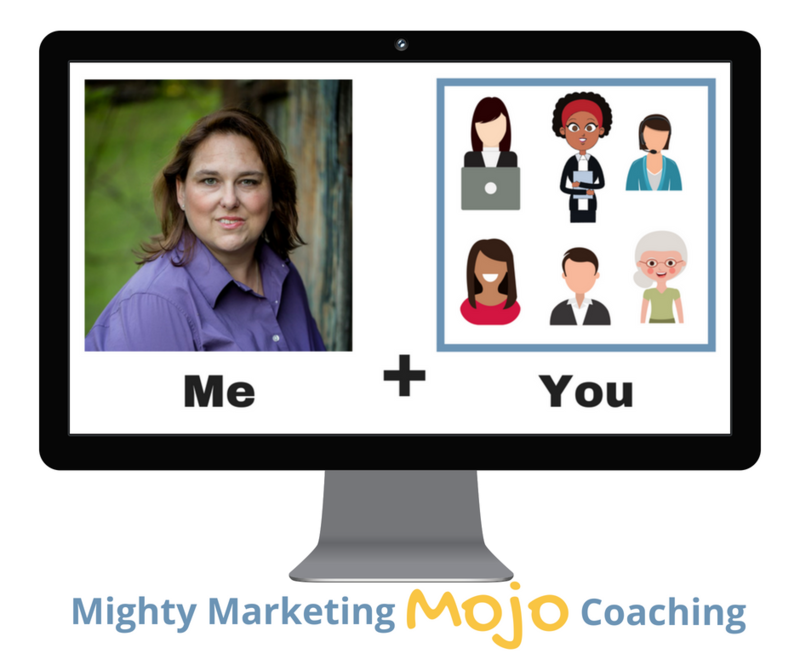 I want you to find your mighty marketing mojo! ​The 6 week program will run ​during ​​early 2019 - a great way to ​make this the mightiest year. It's always a good time to get our goals and plans aligned fresh. Meetings will be either Wednesdays or Fridays - times will be agreed upon by the group after sign-up. ​Sessions Run 6 Weeks During: ​​New Session Starting Soon! Limited Spaces Available! Up to 20 awesome solopreneurs can join this group and create mighty marketing in 2019! ‘This was fantastic! I can’t remember the last time I took so many notes at a webinar.’ ~ Lisa C.
‘Thanks for doing this training, Jennifer. I didn’t know about any of these tools! Not sure which I’m trying first, but I’m saving all my notes!’ ~ Shelly A. ‘What a great event! Hearing your presentation, sharing such great ideas! And you're so welcoming and supportive. Thank you for all your tips. '~ Barbara I. Yes, I want to start getting ​my marketing mojo now!